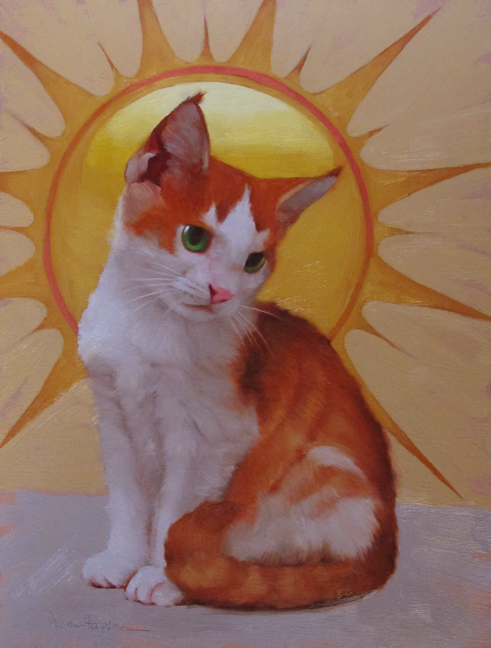 A little white and orange kitteh today... Much painting, little light in Kirtland, OH! I photographed four paintings today, only two of which are fit to post. I'm really enjoying working on these bigger (for me) paintings, will post more next week.